Jasmine is a small short-row shawl worked from the bottom up. 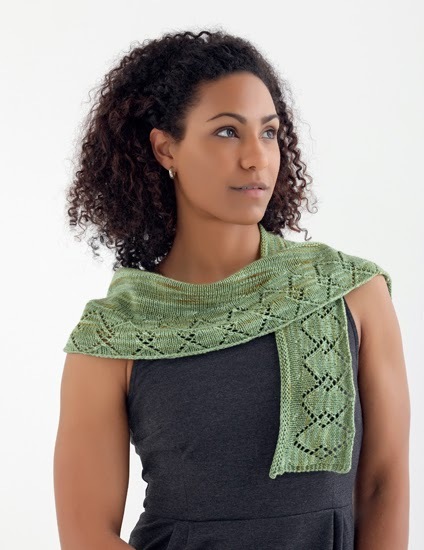 Like Juniper, you start with the lace pattern and then transition to the stockinette short row body. The sample is knit out of some lovely Dragonfly Fibers yarn. This is definitely the smallest shawl in the book. A true shawlette. Even with it being small, there's still some great ways to wear it. 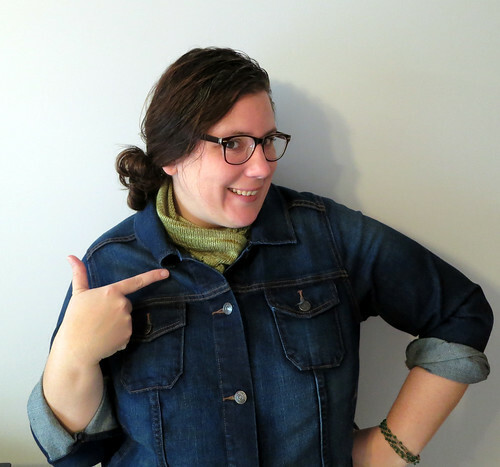 A small shawl like this tucks perfectly into your jacket. I just tie a loose knot underneath the shawl to keep it in place! 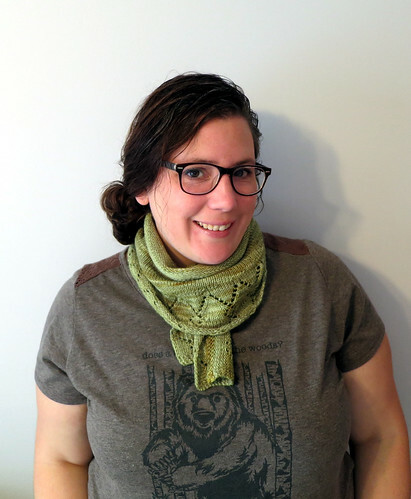 I think this shawl goes great with my "Does a bear knit in the woods?" shirt, don't you? 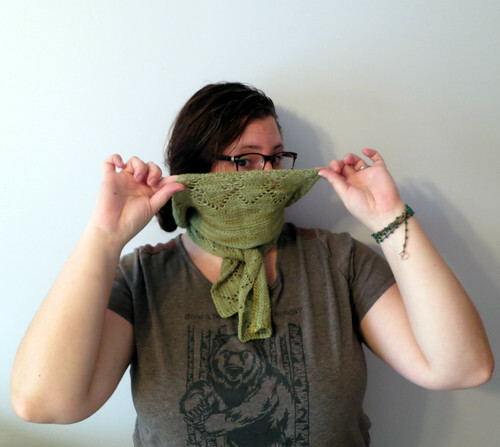 Stay tuned - I'll be back on Thursday to talk about Monarda (which might be my favorite shawl in the book).